A fine website stamped Disneyland Paris that asks us if we have already visited the park. Then in step 2, if we have liked it. Myriad of fake comments below this screen are making us dream of these famous 4 free tickets instead of the 56€ for each tickets. Once the step 3 is done, we fall back to earth, there is a random draw. And these tickets, we will probably never have them. Actually, we will never have them. So we have every reason to believe that we are on a Disney’s website. Except that we will see how to read and understand a FQDN Internet address (Fully qualified domain name). Root website: Wikipedia -> this organization is called Wikipedia. 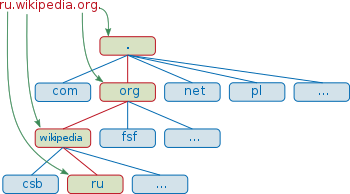 Subdomain: ru -> we are in the Russian part of the Wikipedia’s website. So we are on a website dedicated to game. We are on Com-Tombola’s website. We are in the part of the Com-Tombola’s website, dedicated to Disneylandparis. 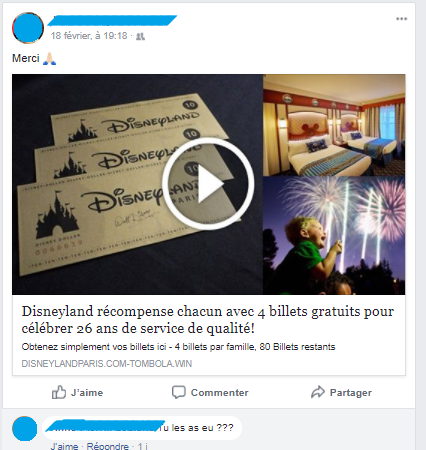 A well-informed eye will easily detect that com-tombola, if this company really exists under this name, will probably not distribute free tickets for Disneyland Paris. This is a study case of Typosquatting, relayed by social networks. Everyone can easily fall into the trap, so be more vigilant! Another interesting indicator to detect this kind of scam: The absence of SSL certificate which encrypts your data. Easily identifiable, SSL certificate displays a green lock on the browsers, and also the https:// protocol instead of the simple http://. In case of any doubt, Nameshield’s teams are at your disposal to enlighten you.